The 56th Field Artillery Brigade Patch is an embroidered subdued color military patch. The patch has a subdued background and the emblem embroidered on it was originally a shoulder sleeve emblem on the uniforms of the soldiers of the 56th Field Artillery Brigade. The emblems are carefully designed with black embroidery threads to ensure that every detail is capture appropriately. 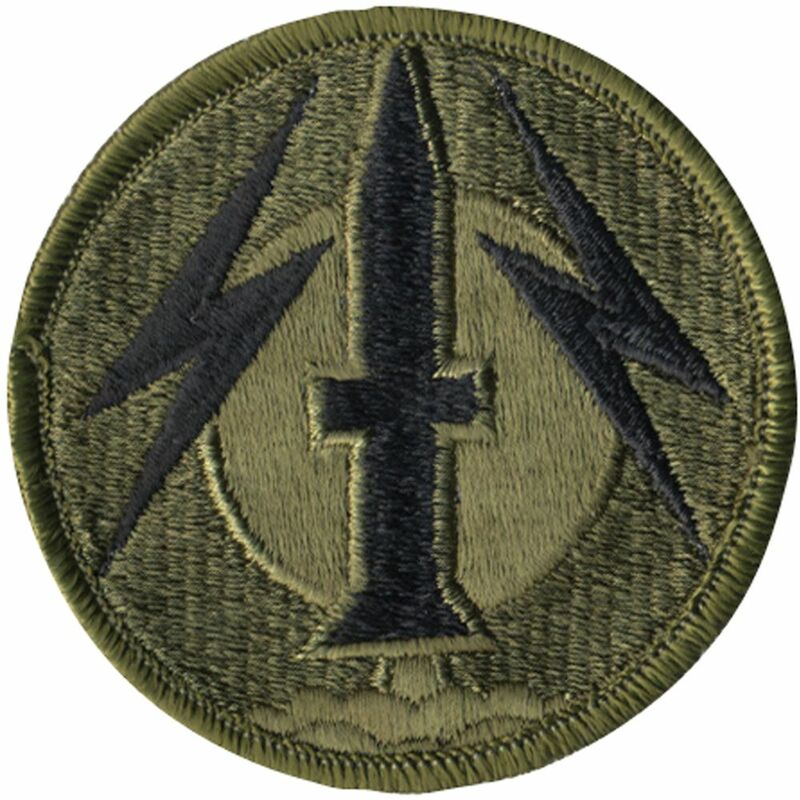 An embroidered missile along with two lightning strikes on either side of the missile, highlight the essence of the 56th Field Artillery Brigade. If you missed the action on the battle field, get this patch and have it stitched on your favorite cap or T-shirt to show your support to those brave soldiers.